Someone get me a hanky, I'm a bit teary from looking at all these cuties. 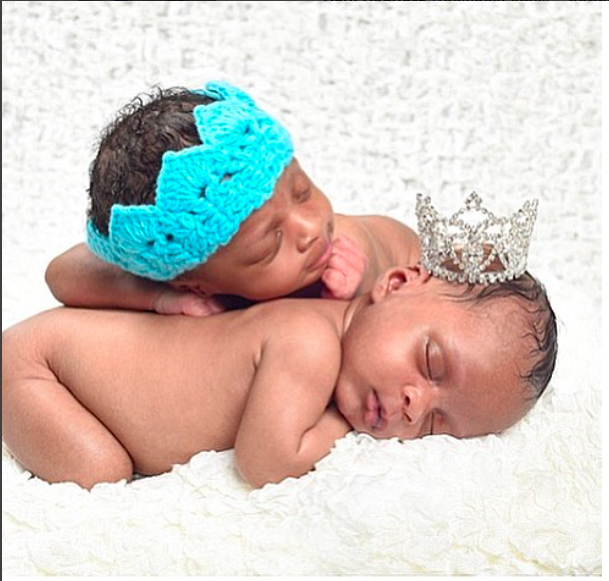 These beautiful babies belong to Nigerian singer Paul Okoye and his wife Anita Okoye. 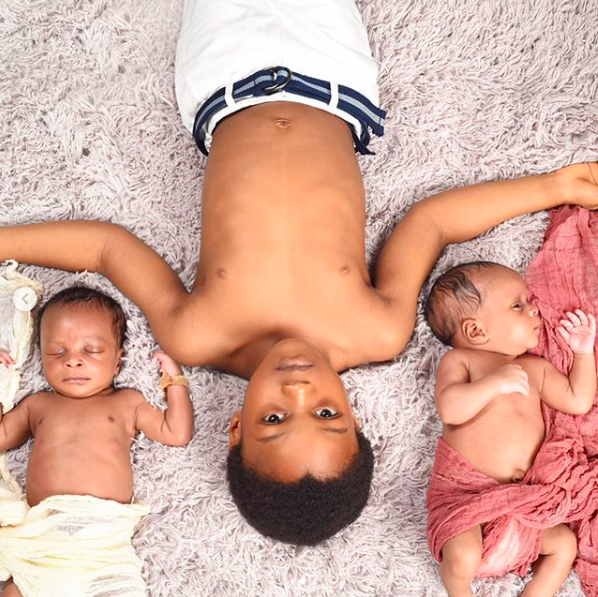 The couple who welcomed a set of twins in July, 2017 have shared the cutest photos of their adorable little ones. 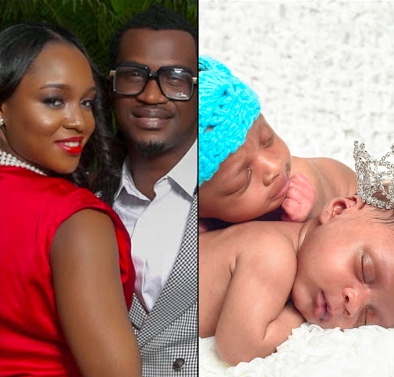 Paul and Anita who have a four year old son Andrea Okoye, welcomed a set of twins, a boy and a girl last month. While Paul shared a photo of his two new additions, his wife, shared a cute photo of them all. She encouraged her followers to have faith and believe their time will come. On June 23rd 2016, I reposted a story that touched my heart. "Don't lose faith when you see others receive answers to their prayers. Don't be envious of others testimony...don't despair...say to yourself 'My time is coming, and when it hits the surface, people shall yield in admiration." At the time of that repost, I had been close to losing faith...I had experienced despair. Today I am in awe of Gods goodness. Paul and I are so grateful for the newest members of our family, Nadia and Nathan Okoye (#Nsquare). Our beautiful little prince and princess. Andre is such an amazing big brother. We are indeed blessed! Whenever it storms, a rainbow is on it's way, when wrote.